Surfcam WorkXplore is the ideal tool for directly displaying and evaluating 3D CAD files without the need for the original CAD application. The intuitive, easy-to-use interface enables novice and experienced users alike to explore any type of 2D/3D CAD file. A wide range of CAD interfaces are available: Catia V5, Catia V4, Unigraphics, Parasolid, Pro/E, SolidWorks, Solid Edge, Cadds, IGES, STEP, Unisurf, STL (binary and ASCII), VRML, ISO toolpaths, DXF, DWG, HPGL. Please note that it is possible to load GD&T data from the CAD interfaces that support geometric tolerancing. 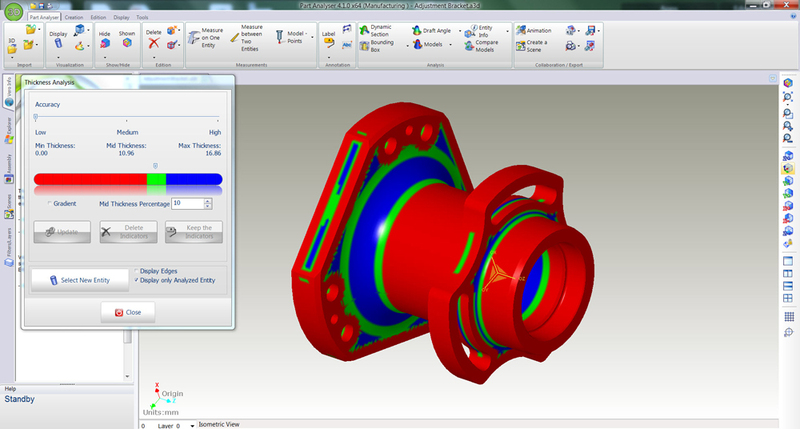 Surfcam WorkXplore has been created for the efficient import and analysis of files of all sizes and types but it is the speed at which it imports large 3D CAD files which is particularly impressive, often taking less than half the time to open a file compared to the original CAD application. Measurements : Surfcam WorkXplore features a wide range of 2D and 3D measurement functions that are highly accurate due to the high precision B-rep 3D model employed. 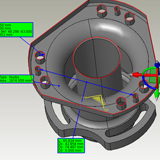 Surfcam WorkXplore’s specialist measurement functions allow expert CAD users to recover point clusters from three-dimensional measuring equipment or machine probes and to quickly check any data revision against the original CAD geometry. The software also allows users to easily generate control point files for transmission to three-dimensional measuring equipment or NC machines. Annotation : Surfcam WorkXplore offers a wide range of annotation functions. Users can convey their ideas, observations, instructions and change requests easily and quickly. 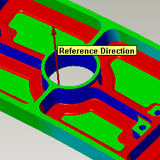 Analyse : Surfcam WorkXplore comes with a full range of specialist analysis tools which can be used to help make quotes, diagnostics, assembly notes or for 3D models production preparation. 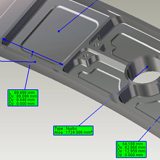 Surfcam WorkXplore also offers a range of analysis functions which are usually only available with more costly CAD solutions. As well as being extremely fast and efficient (even on very large models), the software’s functions are very easy to use with results being displayed in color on the 3D model. In a single mouse click, labels are automatically inserted on surfaces displaying accurate values resulting from various calculations. 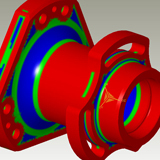 Curvature radius and plane face analysis is a valuable tool for users enabling fast cost and production time evaluation. The coloring of elements to be analyzed is automatic and users can insert measurement labels containing precize values of the elements selected. Precize measurement information is available both on objects and surfaces and enables rapid calculation of volumes and areas. Complementary information such as the object name, encumbrance, number of faces, etc. is also available. The calculation and display of drafts and undercuts are extremely quick, even on very big parts. 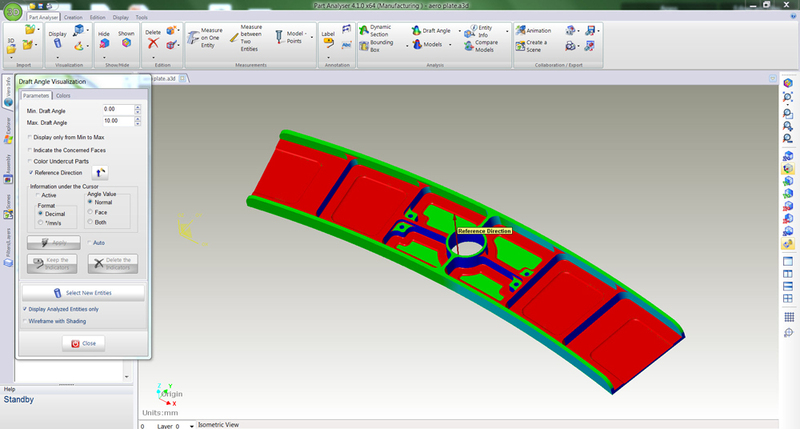 Surfcam WorkXplore automatically colors drafts and undercuts according to the mold stripping axis. Precize draft angle values are displayed dynamically as the mouse is dragged over the surfaces and can be inserted by default in the 3D model. Automatic 3D part comparison allows real time 3D graphic display of the differences between two versions. Modifications are clearly identified by different colors to distinguish between material added and material removed. Amimation : Surfcam WorkXplore includes a fully functional animation kernel allowing users to generate exploded views or animated assembly movements. Setting up animations is achieved by simply initiating basic movements such as translation, rotation or following a guide curve. Interference Detection : Dynamic collision analysis functions can be used during animations to carry out real time control of mechanism interoperability or process control. 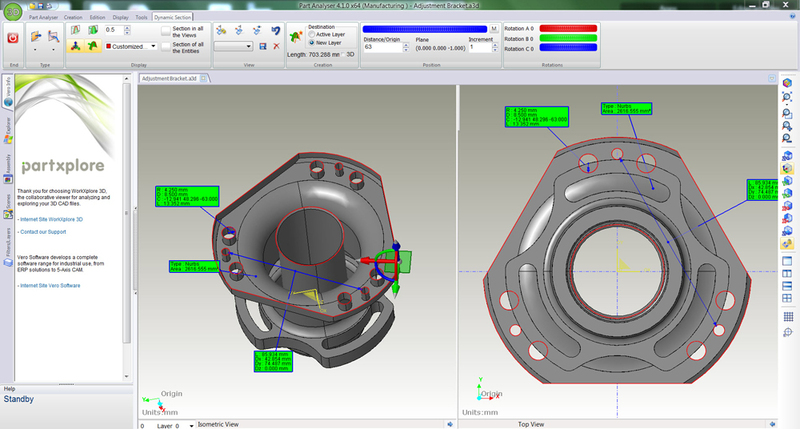 Publication : Surfcam WorkXplore allows users to easily share their CAD models throughout the entire design and manufacturing chain, with all project members whether they are product managers, marketing, sales, outside manufacturing consultants, customers or suppliers. 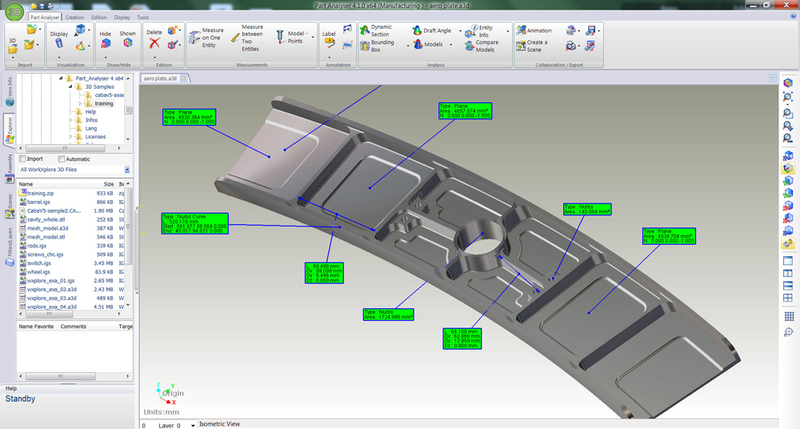 Creation of predefined scenes : Whatever their CAD software skill level, it is important for company staff to be able to use communication tools that capture their personal expertize and enable this to be exploited by other staff members. Export : With Surfcam WorkXplore users can quickly convert standard or native 3D models via the available export interfaces (IGES, STL, URML). B-rep models can also be saved under the IGES format. Collaborate : Users need no longer worry about format compatibility or what software their partners use. 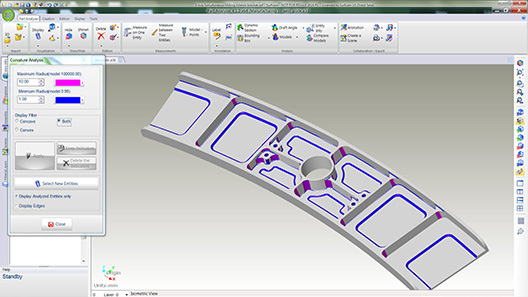 Surfcam WorkXplore enables users to communicate 3D parts and assemblies to sub-contractors, customers or colleagues using a standalone, lightweight application that can be easily transmitted via the Internet.